In the northwest corner of India lies a special island surrounded by the Brahmaputra River. What’ makes it special is the fact that it is the largest river island in the world. Majuli is home to 150,000 people and the location of a 1,360-acre forest, but sadly, it’s the victim of erosion – and I mean years of damage. Even though flooding and erosion affects other areas, such as the mainland of Jorhat, erosion could possibly dissolve the island of Majuli, in no time. The people of Majuli have lost homes because of the rising waters – homes and temples. It’s tragic, seeing as some of the temples located on Majuli are around 250 years old. Within five years, temples located just 200 kilometers from the river bank will also be gone. But there is hope for Majuli. 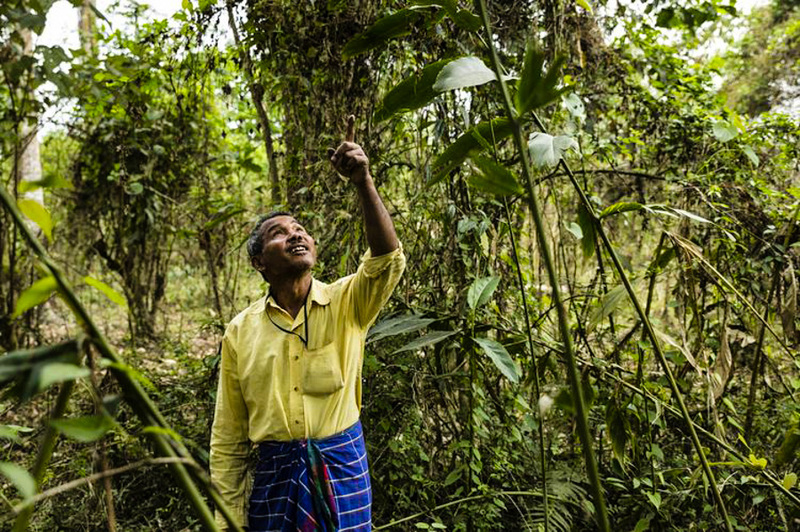 A 1,360-acre forest, called Molai, could be just the thing to stop the erosion. 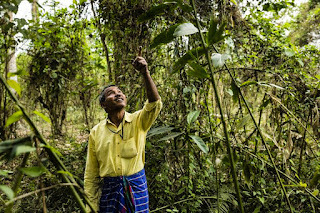 Planted since the 70s, the Molai forest was nurtured by Jadav Payeng, one tree at a time, until it now is bigger than Central park! Although half of the island has already eroded away, thousands of trees and bamboo now hold fast some remaining acres. And all this was done single handed, by the forest man! Because of this man’s efforts, endangered species, such as Bengal tigers, elephants and vultures, have returned to the island. Other species of animals thrive as well, along with plants and various vegetation. Acres of roots crawl deep into the ground, anchoring Majuli. Jadav Payeng has been recognized for this endeavors too. The former president of India, A.P. J. Abdul Kalam, was the one who gave him the name “Forest Man of India”. This recognition came after a short film was made by photographer Jitu Kalita and a series of articles circulated the globe. Payeng had become a hero to his people and his home. The forest man continues to plant trees with the help of his family.And the planting is much easier than when he started, having seeds from established trees to grow more. Imagine, if one person can create such change, how much 5 or 10 people could do, if they only joined in the Forest man’s quest to halt flood and erosion from destroying Majuli. In fact, re-forestation could make a monumental difference all along the banks of the Brahmaputra River in India. Simply said and filled with promise for our planet, wouldn’t you say? Jadav Payeng will continue his work until he can do it no longer. I personally hope that his children will continue his legacy for saving Majuli. I also hope that the forest man can be an inspiration for us all. Each one of us can make a world of a difference. Especially when it’s our world that is at stake. What can you do for your planet?